Baby is size of a butternut squash! Your baby now weighs about 2 1/2 pounds (about the size of a butternut squash) and is a tad over 15 inches long from head to heel. Her muscles and lungs are continuing to mature, and her head is growing bigger to make room for her developing brain. To meet her increasing nutritional demands, you'll need plenty of protein, vitamins C, folic acid, and iron. And because her bones are soaking up lots of calcium, be sure to drink your milk (or find another good source of calcium, such as cheese, yogurt, or enriched orange juice). This trimester, about 250 milligrams of calcium are deposited in your baby's hardening skeleton each day. I've been feeling fatigue. Definitely having back pains when standing long periods of time. Also the other day, I almost passed out! I don't know how or why it happened but I've been feeling a little light headed today as well. I'm going to definitely talk to my doctor at my next weeks appointment. Unless it gets worse then I'll go in. Besides the fact of not getting enough. I guess I can't really complain. Unless I'm going to the bathroom in the middle of the night, I'm usually able sleep the whole night. Thank you goodness! I have actually been craving fruit lately... But being broke I'll tend to go to fast food instead. I've also been eating late at night. I've got to stop that. I weigh in at 173 this morning. That is about 5 pounds smaller then 2 weeks ago. I've been ITCHING!!!!!! I'm downing myself in oil and lotions still. Still so much! Joe finally saw her moving from side to side the other night!! I have really been stuck on Georgia Amillie or Amillie Renee. 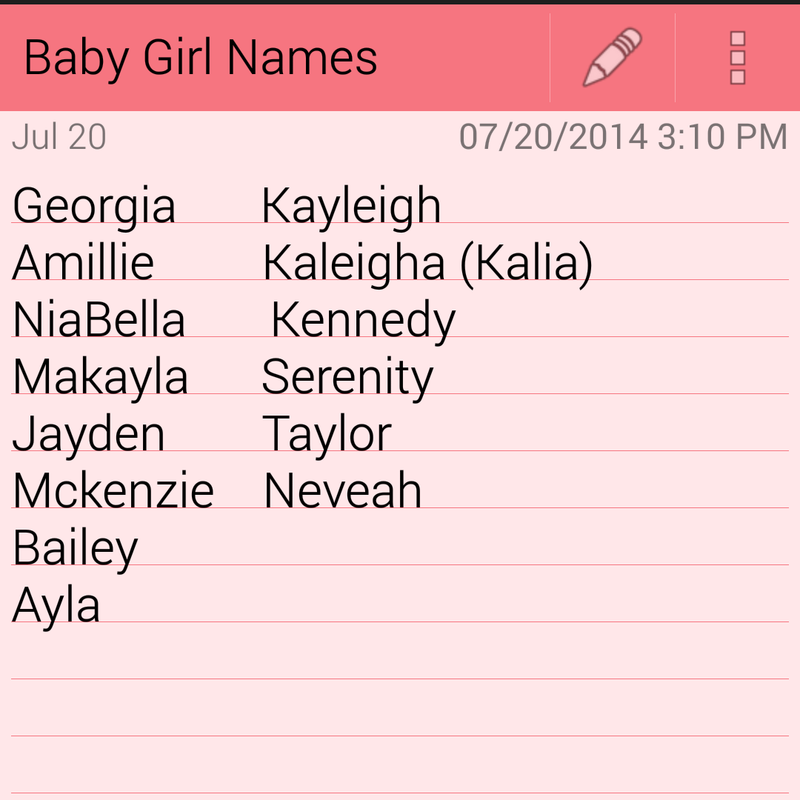 I can't seem to get these names out of my head. All my friends are hating them... but what can I say? I got a 3 n 1 crib! I also got a pack n play, car seat and stroller that is Disney Minnie mouse for a steal over the past week. I'll hopefully (can't promise anything) have a post up about my finds soon!